Actress Yoon Ji Oh has taken to the Blue House petition once again. 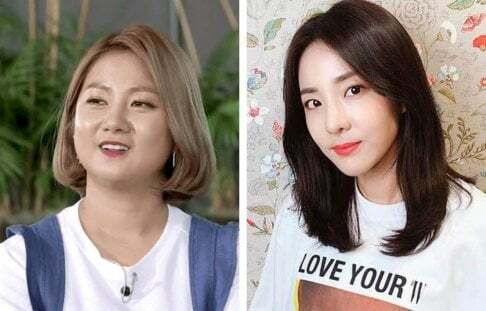 On March 30 KST, the alleged witness to the recently re-opened suicide case of actress Jang Ja Yeon has expressed her need for stronger police protection after facing a number of possible threats. She began, "Hello, I am witness Yoon Ji Oh. I believe that the late Jang Ja Yeon case should be labeled with an emphasis on the assailant and not on the victim, so I will only state myself as 'witness Yoon Ji Oh'. "The Smartwatch device, intentionally made for tracking locations and placing emergency calls for the police when in danger, is not working. It's been 9 hours and 39 minutes since I signaled for emergency and I cannot begin to express my despair and disappointment at the irresponsible attitude of the police department that cannot be reached." The actress continued with an explanation of the potential threats that she experienced within those several hours, including hearing suspicious sounds from the walls and sensing an unpleasant mechanical noise all around. She wrote that she heard the same noise from the bathroom ceiling, when she also found the ventilation instrument "intentionally cut off," while the noise incessantly continued. "The day before, the latching device on my door was broken and immobile, so I even had to get it fixed. (Afterwards,) I checked the door again and noticed that some liquid, which seemed to be oil, was dripping downward." Yoon also shared that she and her bodyguards once smelled "a strange gas odor" upon opening the door of her residence. "It's been 9 hours and 47 minutes since I made the emergency call, but the police hasn't even arrived, let alone return my call," she said. "I am demanding an explanation as well as an apology from the police, and I am also respectfully requesting a policy improvement on human resources and facilities where the victim, witness, and the testifier could receive proper protection." Stay tuned for updates regarding the case of Jang Ja Yeon with actress Yoon Ji Oh. Wow! What a corrupt Korean law and enforcement!